♥. Pre-Sale Service: Design and manufacture concrete floor tile making machines provided for you as your special requirements, offer you project, process design and purchase program. ♥. 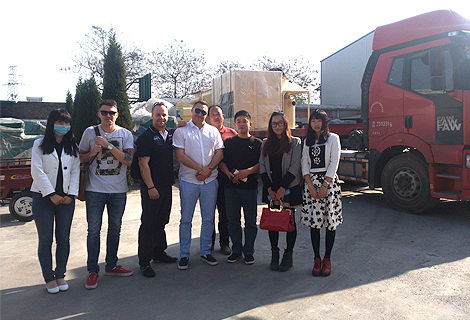 On-Sale Service: Look around our factory accompany with you, explain the manufacture process of our terrazzo machines, and check the working performance of our machines. ♥. After-Sale Service: Engineers are available to install and debugging equipment of the whole production line. In addition, commissioning and training operators on site. Considering the long distance of installation, we also can make detailed installation drawing and manual operation steps for your reference. 1. All the machines will be wrapped up with plastic film first (including the motor). 3. The terrazzo tile machine parts need to be put in a fixed container, should be fixed well, lest collision and wear, or lost.